In the current study we consider the link between imprisonment and post-prison participation in violent political extremism. We examine three research questions: (1) whether spending time in prison increases the post-release risk of engaging in violent acts; (2) whether political extremists who were radicalized in prison are more likely to commit violent acts than political extremists radicalized elsewhere; and (3) whether individuals who were in prison and radicalized there were more likely to engage in post-prison violent extremism compared to individuals who were in prison and did not radicalize there. We perform a two-stage analysis where we first preprocess the data using a matching technique to approximate a fully blocked experimental design. Using the matched data, we then calculate the conditional odds ratio for engaging in violent extremism and estimate average treatment effects (ATE) of our outcomes of interest. Our results show that the effects of imprisonment and prison radicalization increases post-prison violent extremism by 78–187% for the logistic regression analysis, and 24.6–48.53% for the ATE analysis. Both analyses show that when radicalization occurs in the context of prison, the criminogenic effect of imprisonment is doubled. 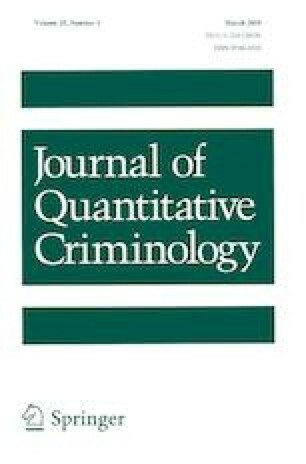 In support of longstanding arguments that prison plays a major role in the identity and behavior of individuals after their release, we find consistent evidence that the post-prison use of politically motivated violence can be estimated in part by whether perpetrators spent time in prison and whether they were radicalized there. This research was supported by the National Institute of Justice through Award Number 2012-ZA-BX-0005 and the European Union’s Horizon 2020 research and innovation program under Award Number 699824. The views and conclusions contained in this document are those of the authors and should not be interpreted as necessarily representing the official policies, either expressed or implied, of the U.S. Department of Justice or the European Union. An earlier version of this paper was presented at the annual meetings of the American Society of Criminology, Philadelphia, November 2017.